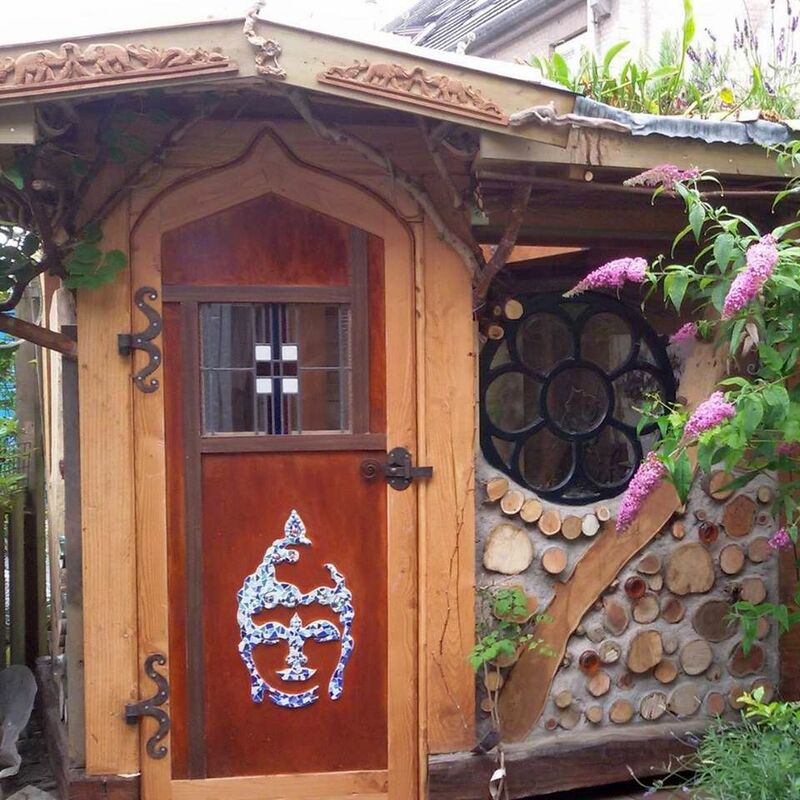 Marie-Louise shared these photos of a cordwood “garden house” she built in Holland. The post and beam framework is attached to the wooden deck. Tree limbs have been trimmed and placed into the wall to lend an organic appeal to the garden house. 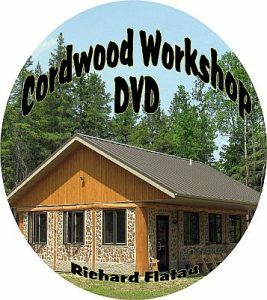 Cordwood rounds have been placed to dry. 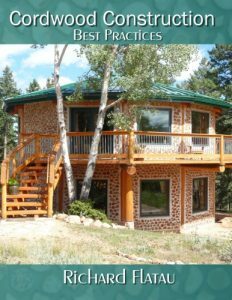 Decorative metal designs have been used to enhance the attractiveness of the building. 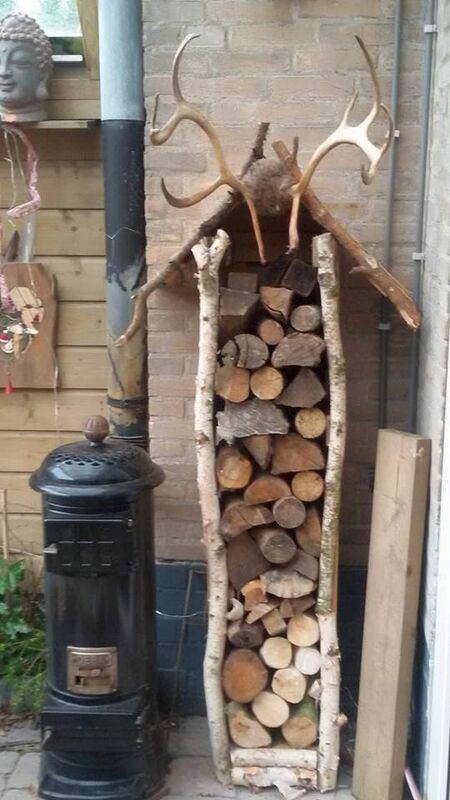 Even the woodpile for the wood heater has been made into an artistic statement. 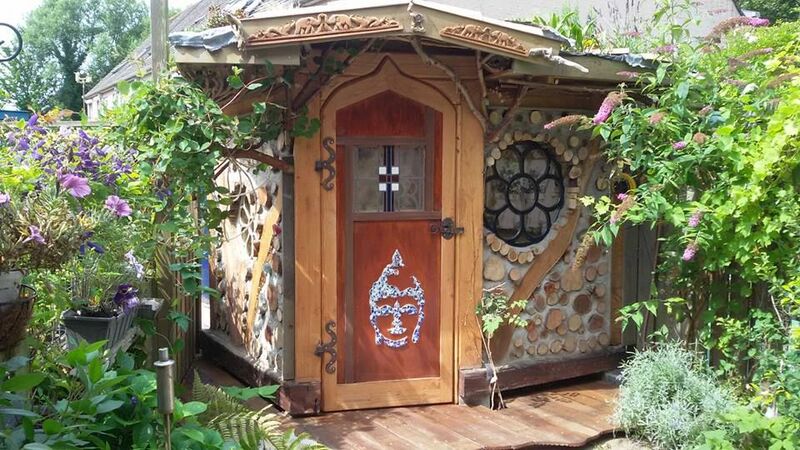 This use of cordwood shows how creative and whimsical some folks can be when it comes to designing a cordwood building. 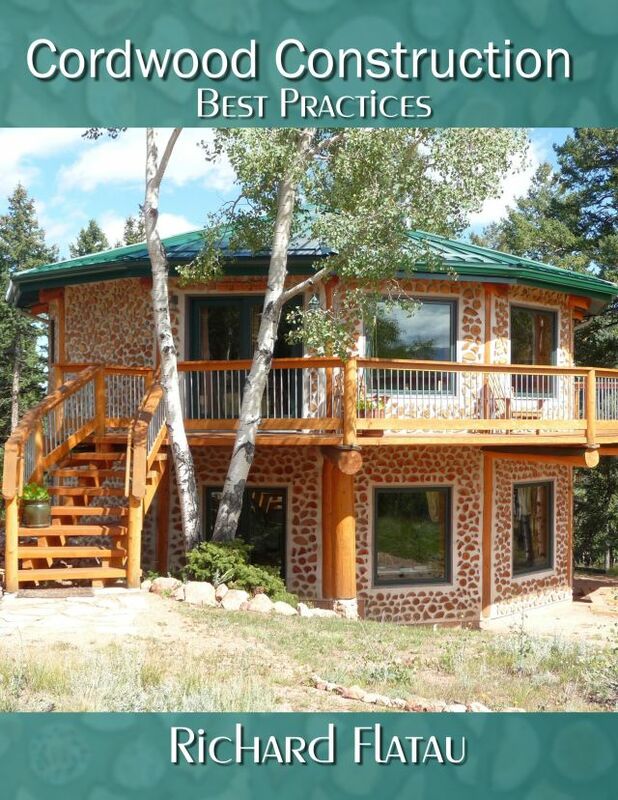 Kudos and congratulations to Marie-Louise.